Mabuhay ang Pilipinas! 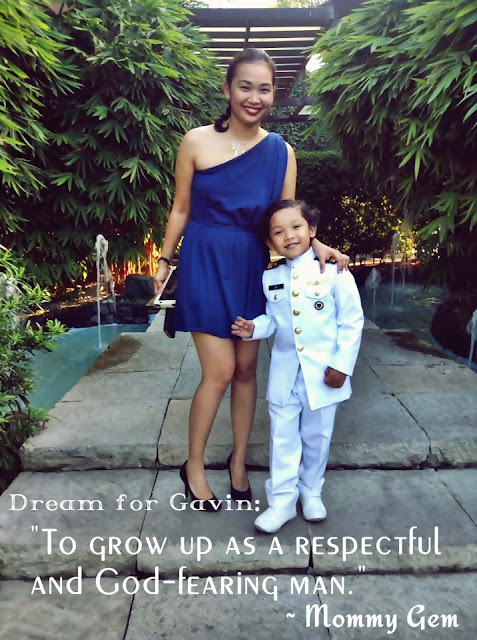 It's our country's 115th year of celebrating Independence Day today and it's just apt to feature this mom for this week's A Mom's Life. Before we were freed, soldiers who fought hard for our freedom were just men. Ladies were either washing their clothes or cooking food for a platoon. Fast forward to the new millennium, say 25 March 2006, a petite preppy girl-next-door type female cadet from Philippine Military Academy has graduated as a member of Mandala Class 2006. 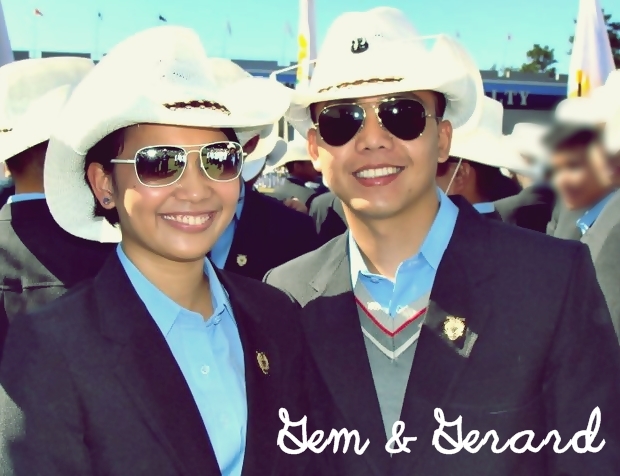 On 01 April the same year, she was then called 2Lt Gemira Ramos PA. Yup, pretty female soldiers are so now. Gem, now a 1st Lieutenant (soon a Captain! ), is my husband's "V. Luna-mate". Armed Forces of The Philippines General Hospital in V. Luna, Quezon City was where aspiring cadets were gathered before they could proceed to PMA in Baguio City. That's where she and Rhambo also first met when they were still applying for some papers for their cadetship. 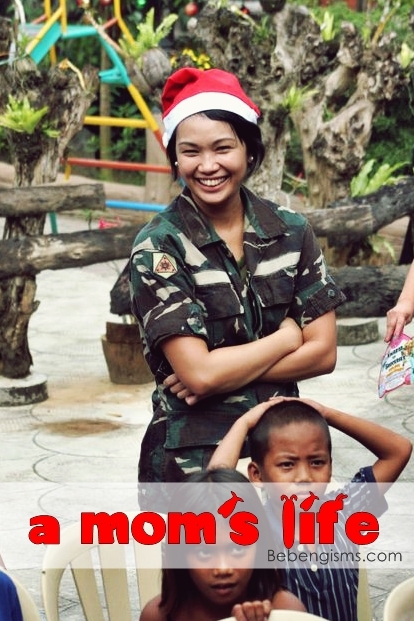 Anyway, as I have promised to feature moms in uniform for this month, below's Mommy Gem's AML fact sheet. HOBBIES: Surfing the net, interior designing our bahay bahayan. PET PEEVE: People without a sense of urgency. Queen B says: Hey girl, I don't think you need to think of that just yet. Will the photo below confirm that? Queen B says: I met Gem face-to-face during the wedding of their mistah last year. 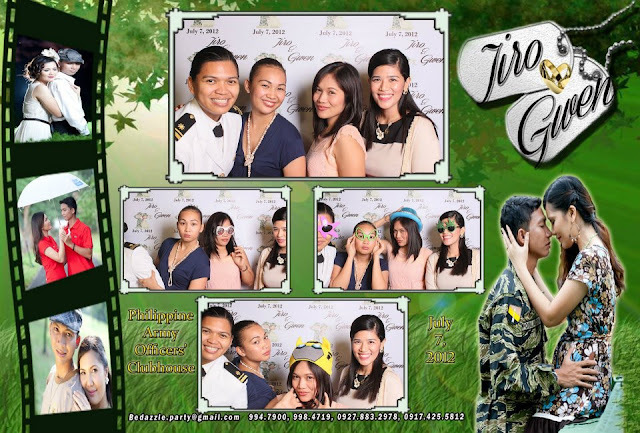 We haven't really had time to make chika but we had a blast at the photo booth. Camwhoring at its finest. Hehe. 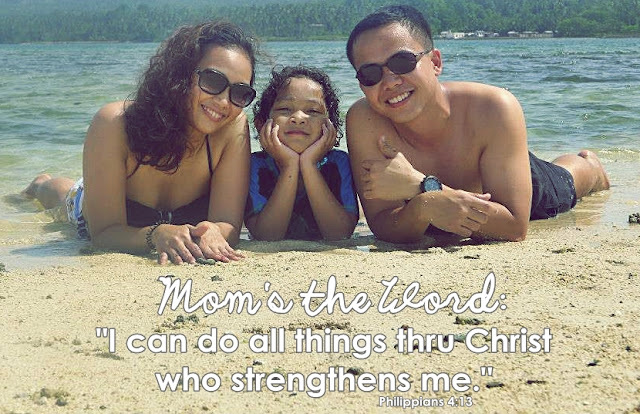 Queen B says: When someone becomes a mom, you will instantly think that she would only focus on her baby. Mommy Gem had it balanced. Like most of the AML moms I have featured here, she has time for herself. 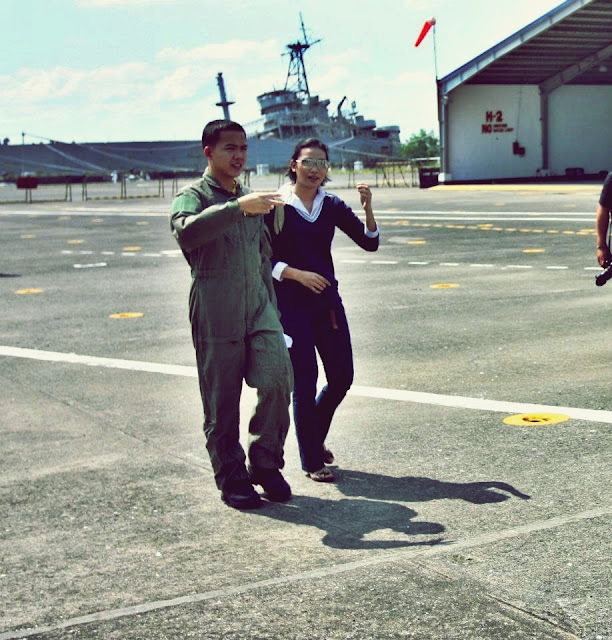 She spends date nights (you know, coolments couple lol) with her husband, who's also a member of PMA Class 2006, LTJG Gerard Martin Dy PN. But of course, she attends to her son's needs and makes it up to her little man whenever she can. This soldier has not stopped educating herself with new skills. She attended a month-long film workshop last year that made her a cinematographer for a short film called Drawing. Watch the trailer in YouTube here.